Business-to-business content marketing has a growing adoption rate from companies that see the inherent value in connecting with other businesses as potential buyers. However, content marketing is a complex area that requires the ability to stand firm on an ever-changing landscape. Marketing for B2B industries presents distinct challenges that you won’t find with a more traditional business-to-consumer approach. However, the potential benefits are outstanding for those who take the time to gain a strong foothold in this area and take an educated approach to developing this type of marketing strategy. B2B decision makers are more difficult to sway than B2C customers. In the B2C arena, emotional influence reigns supreme. Marketers can tune in to the buyer’s desire to impress friends, cultivate a particular image, or simply feel good. B2B purchasers are further removed from the product. They don’t stand to feel a personal thrill from the purchase, so they’re far more critical of the product or service. When you’re marketing to a B2B audience, it’s important to stay on point. Informative content that’s backed by hard research and compelling numbers will make your case more effectively than any flashy commercial. Whitepapers and infographics are popular choices for B2B content marketing because of their educational, as opposed to emotional, approach to the topic at hand. This isn’t to say that your content needs to be stiff or dull, though. In fact, an engaging interactive infographic or fascinating webinar will make a powerful addition to your marketing plan. Maintain a laser focus on thought leadership and explanatory pieces while adding eye-catching design elements to engage successfully with this audience. According to a study by the Content Marketing Institute, 91 percent of the most successful B2B companies are extremely or very committed to content marketing. Of these businesses, 85 percent always or frequently deliver content consistently, and 83 percent feel that their content marketing strategy is extremely or very effective. Of B2B businesses overall, 89 percent are already using a content marketing strategy. 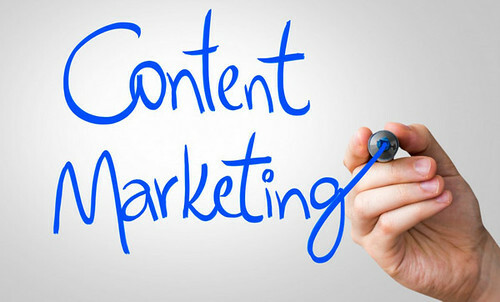 Of those who are not, 52 percent plan to launch content marketing in the next 12 months. If you’re not actively working on a content marketing strategy in the B2B world, you’re lagging behind your competitors. Over 90 percent of B2B buyers do online research before purchasing a business product, and a growing number of buyers are even completing their purchases online. Social media, email, blogs, and company websites are all becoming valuable touch points where you can connect with buyers who are actively searching for the products and services that you offer. Make sure your resources are waiting for them when they hit the internet. Content marketing is difficult for some businesses to successfully adopt because they are too focused on their short-term goals. Content creation requires a long-term strategy. Good B2B content marketing won’t deliver the same fast conversions that a traditional advertising campaign may yield. However, it will help you build a stronger and more reliable customer base. Content marketing fosters stronger relationships. In the B2B arena, it’s what distinguishes you as a knowledgeable and helpful resource for your industry. Top-notch copy proves that you’re an expert in your field. By providing a consistent flow of high-quality pieces, you can give your clients a reliable resource for their own changing business needs. It’s important to understand the scope of B2B content marketing to fully appreciate the importance of a far-reaching strategy. Organic content marketing methods typically take 12 to 18 months to show results. Companies that have the resolve and staying power to keep churning out high-quality content through that period will likely see measurable results from their efforts, while those who give up too early will miss out. The best way to approach B2B content marketing is with a diverse selection of pieces that can cater to various buyers’ needs. Though they’re driven by a different set of values from consumers, business buyers are still a varied lot, and you can reach them through several means. Your strategy should begin with a well-rounded selection of marketing content, including blogs, email marketing, infographics, and white papers. But this is only the beginning. After completing a product such as a whitepaper for lead generation, you should develop complementary pieces. For the whitepaper, this might be an infographic that sums up the most important points in the paper and funnels more leads toward it. You can further highlight the points of your whitepaper by featuring it in a podcast or webinar. This multi-faceted B2B content marketing approach offers several ways to connect with your audience, increasing your reach as well as your potential for lead generation and sales conversions. Only 41 percent of organizations have an accurate concept of what content marketing success looks like. This makes it almost impossible to successfully develop a marketing strategy. The idea of B2B content marketing, while not new on the overall landscape, is still a fresh one for many companies. Changing search algorithms and evolving buyer behavior add to the challenges of understanding how best to implement B2B content marketing. Add to this the fact that you can’t use immediate ROI measurements as an accurate way to judge the success of a B2B content marketing strategy, and you have a very complex landscape for businesses. This is why so many B2B companies can benefit from outsourcing their content marketing. Businesses can tap into the experience and knowledge of a specialized company that focuses on constantly keeping a finger to the pulse of content marketing for a fraction of what it would cost to hire even one marketing employee to do this job. 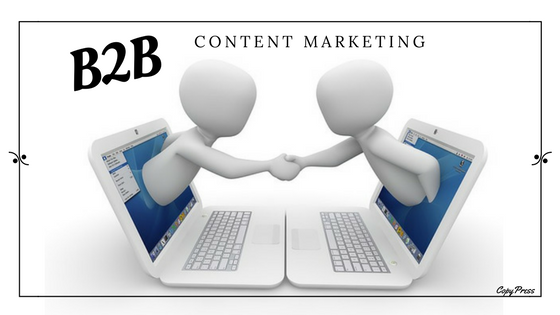 B2B content marketing offers a powerful way to make strong, lasting connections with your potential buyers. Due to its long-term nature, the efforts that you put in today can offer payoffs for years to come. Depart from the habit of pushing short-term campaigns, and use content marketing to build an online presence that will promote your thought leadership while fostering lasting connections with loyal buyers. Are you interested in creating infographics online? We are here to help. Contact us today!